TAKING on a video store in this day and age is a move that might seem a little off-script, but for Karen Ford it has become a labour of love. Having owned the commercial space on Targo St, formerly a Civic Video, she took it on and renamed the business in 2015. "It fell in our laps really,” she said, but for her and her staff, including son Hayden, providing old fashioned customer service has become a source of pride. "There's a kind of customer service you can get in a video store that you can't get from a DVD booth. "I love it. It's a great working environment, really fun. 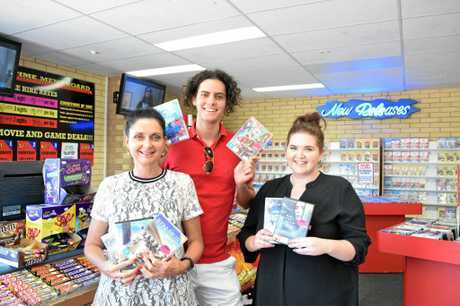 Meet the team at Bundaberg's last video store: Meet the Bundy locals keeping old fashioned entertainment alive. E-Time on Targo St is run by Karen Ford with staff including Hayden Ford and manager, Kate Stallan. The collection of movies runs into the thousands. The team all agree that like vinyl records and film photography, there is still a place for the physical movie format. "People like walking in and picking up a DVD in their hands,” manager Kate Stallan said. "It's very different to what it used to be, but we have people coming in saying 'Please don't close down',” Karen said. 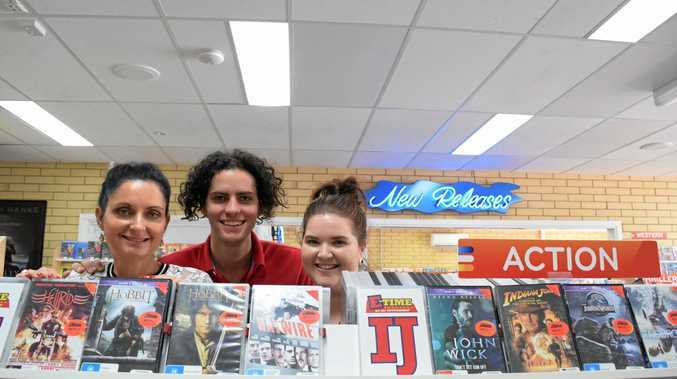 With the closure of Blockbuster on Maryborough St, and Leading Edge before that, E-Time are now the only video store left in Bundaberg. "We're very excited to be the only ones,” Karen said. The only other challenge is debt collection - "it is a big problem”, Karen said. They have a debt collection service, so if you can't be bothered taking back that DVD, you might want to think twice.